I’ve been a regular at Epping RSL for many years. It’s one of 27 gaming venues I visit as a venue support worker for Gambler’s Help. Narelle Hart started as a gaming attendant at Epping RSL sixteen years ago and worked her way up to general manager. Brooke Vangeli started waiting tables there five years ago, until Narelle ‘nagged’ her to get her gaming licence. Now she’s a gaming attendant and YourPlay ambassador. When staff leave Epping RSL, it’s usually to retire. 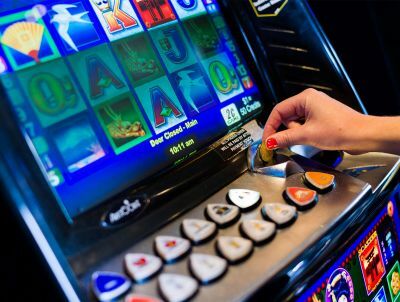 We hear the phrase ‘gamble responsibly’ tacked on at the end of so many betting ads on TV. But at Epping RSL, ‘responsible gambling’ means something. Perhaps because the staff are like family, they see their customers the same way, especially when it comes to providing a safer gambling environment. Narelle and her team make my job easy. We have an annual planning meeting at Epping RSL, so we can work out their training needs throughout the year. 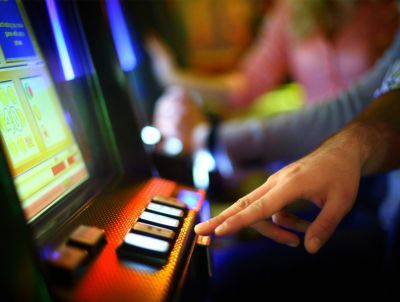 I run training on topics including Gambler’s Help services, how to identify and respond to customers who might be experiencing gambling harm, and the Victorian Government’s YourPlay program, through which people can set limits and track their pokies activity over time. Some topics reinforce and expand on Responsible Service of Gaming training, which all staff are required to complete. Self-exclusion is one of these topics, and an area I’ve seen handled particularly well at Epping RSL. Self-exclusion is a free program where you can ban yourself from gaming venues. You sign a deed listing the venues where you agree not to enter the gaming area for a minimum period. If venue staff see you in the gaming area, they notify the program and ask you to leave. You can still go anywhere else within the venue. Narelle says self-excluded patrons often come for dinner. Most of the time, people who have self-excluded don’t go into the gaming area. It’s the difficult situations that can arise when they do, that show the mettle of a venue. After recognising a self-excluded customer one day, Narelle tactfully invited him into a private room, where she asked if he understood he’d signed up to be banned from the gaming area. The man was embarrassed and agitated, so Narelle put him onto the self-exclusion hotline to talk about the situation. After a while he said, ‘Look, I’m fine’, and left. But it then became a daily occurrence and he’d laugh every time he was busted. Eventually, Narelle barred the man from the entire venue. But the magic was the way she did it. He was actually grateful in the end. It’s the difficult situations that can arise that show the mettle of a venue. In the training, I talk about not becoming a counsellor. Narelle understands the distinction, but says, ‘We can still have a care factor. We can still listen’. 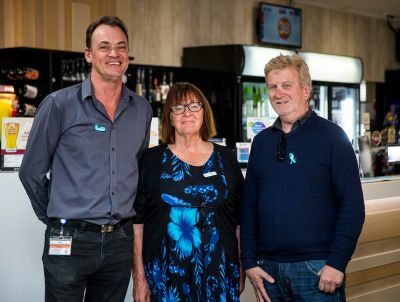 At Epping RSL, if a patron seems to be experiencing difficulties, a member of staff may hand them a discreet help pack containing information about self-exclusion, Gambler’s Help and other support services. On Thursday last week, Epping RSL held YourPlay Day, as part of Responsible Gambling Awareness Week. As a YourPlay ambassador, Brooke promotes the program throughout the year, but on YourPlay Day, the team had giveaways and dressed in ‘YourPlay purple’ as a conversation starter. I will regularly pick up the phone to these guys to get their perspective on something, so the learning definitely goes both ways. And I guarantee: Epping RSL is committed to responsible gambling. Stuart Barton has been a venue support worker with Gambler’s Help North and North Western for seven years. Stuart enjoys working with venues to deliver training and advice that builds on their capacity to deal with signs of distress or unacceptable behaviour around gambling. Stuart brings an industry communications background to the position, with four years working for Tabcorp.